From savoury dishes and sweet desserts to hot teas and cold beverages, ginger is trending right now! This is likely due to its unique, versatile flavour and long list of potential health benefits. Despite the recent surge in popularity, ginger is by no means new – especially when it comes to managing nausea. A “go-to” traditional health remedy for thousands of years, ginger has been used in herbal medicine to treat everything from dyspepsia and flatulent colic, to colds and fever. So, where does this special remedy come from? Ginger (Zingiber Officinale) is from the roots and shoots of the ginger plant. The plants thrive in warmer climates such as China, India, Africa, and the Caribbean. How does ginger help with nausea? The main compounds of ginger are the aromatic essential oils, anti-oxidants, and the pungent oleo-resin. These active aromatic or pungent compounds are known as gingerols, shogaols, and zingerone, and they’re responsible for most of the medicinal properties of ginger. Gingerol has been clinically proven to help prevent nausea and vomiting associated with motion sickness. 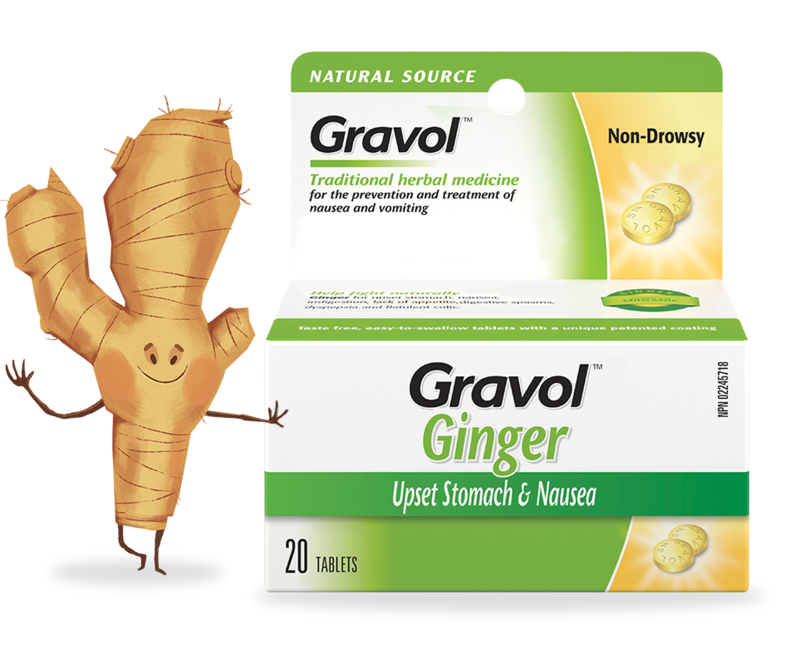 If you’re taking ginger to help with nausea or upset stomach, GRAVOLTM Ginger products can help ensure you’re getting exactly the amount you need. With other ginger formats (teas, ginger ale, candies, etc. ), you can’t be sure how much ginger is included. 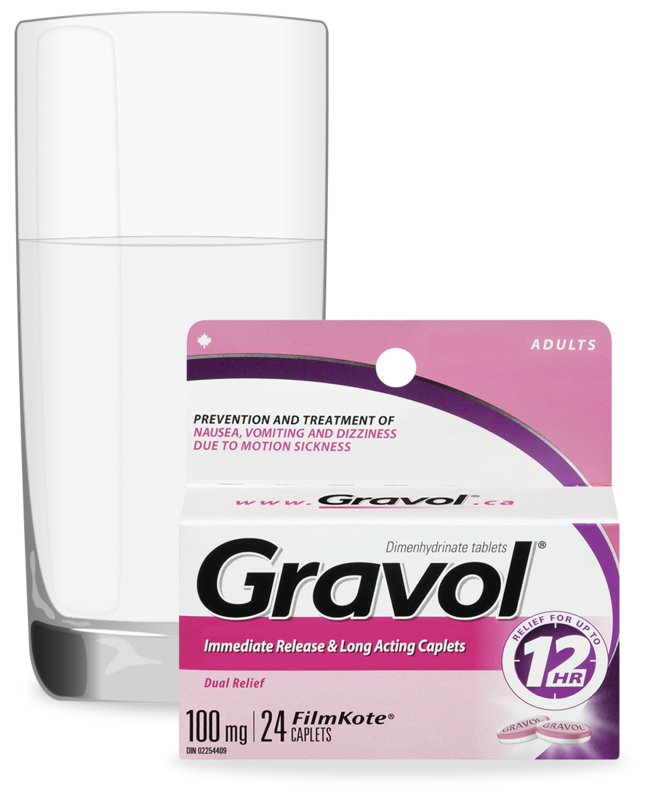 With GRAVOLTM Ginger, you have the peace of mind knowing each dose contains 20 mg of organic ginger extract (zingiber officinale) (root & rhizome); equivalent to 340 mg of dried ginger root – the ideal dosage of ginger for nausea prevention and relief. So there you have it, you can officially consider yourself a ginger guru now. Want more helpful health tips? Check out our Health & Wellness tips section. Sore throat, runny nose, sneezing, headache, fever – the list goes on. 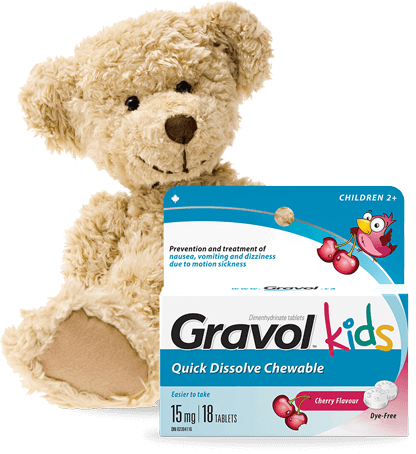 When your child has nausea, vomiting, or dizziness due to motion sickness, all you want is for them to feel better. Fast. Getting your child to take their medicine, however, can take a bit of convincing.